Health benefits aside, I love how a wide variety of nuts is readily available in Manila. I practically grew up munching on peanuts and was glad my face didn’t suffer from acne. I just get to have a few pimples from time to time, but nothing too serious as to have me reading therapores review one after another to get help. You know how some people associate acne with a high-fat diet. Nuts are naturally rich in fatty acids, yes, but it doesn’t mean they cause acne. There are a lot of factors that trigger acne such as puberty or simply poor hygiene. That’s why I continue to enjoy nuts until now. My favorites are peanuts, walnuts, almonds and pistachio. 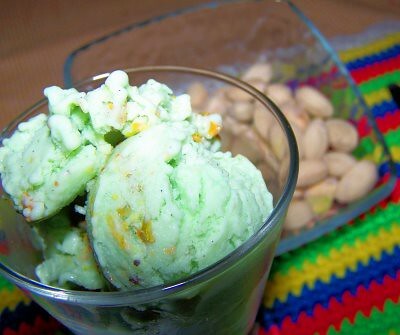 Right now I’m craving for some pistachio ice cream. Yum! Getting rid of acne is a different case altogether. Good thing we now have advance technology in skin care to treat it. I have friends who have suffered from acne in their youth and swear by the wonders of technology in helping them become acne-free. The treatments available today work like magic. I could hardly see the traces of acne on their faces. And just like me, they continue to eat nuts as part of a healthy diet. I just learned from my aunt that a distant female relative had died of breast cancer. I find her death quite tragic and untimely because she was only in her late 30s. From what I gathered, she’d been married but with no children. Actually, her brother was my classmate and buddy from elementary to high school. I immediately sent my condolences to their bereaved family. If I’m not mistaken, breast cancer is the leading cause of death among women. While fibrosystic breast condition (or the presence of breast lumps and breast pain before and during menstruation) is common among women in their childbearing years, it is still very important that we get rid of this. A breast lump that’s benign at first can eventually develop into a malignant tumor.